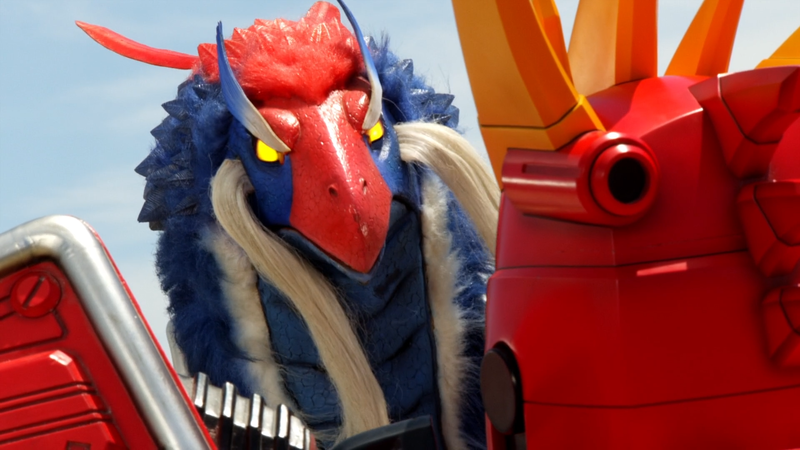 The Kyoryugers have split up to train individually, but Candelira and Luckiero have created a new monster that is obsessed with the bravery of the Kyoryugers! Abandoning their training, the team faces off against Debo Bravelove, playing right into the Deboss Legion’s plans! This episode is a special bonus episode that was produced four years after the series had ended as a cross-promotion with Brave Frontier 2. As a bonus for those of you who, like me, want to put this episode into the series run in chronological order and treat it like a regular episode, I’ve created a “Special Edition” for Episode 33 that puts a preview for 33.5 at the end of the episode, as well as a version of 33.5 that adds the opening/ending and middle eyecatches and puts the preview for Episode 34 at the end. 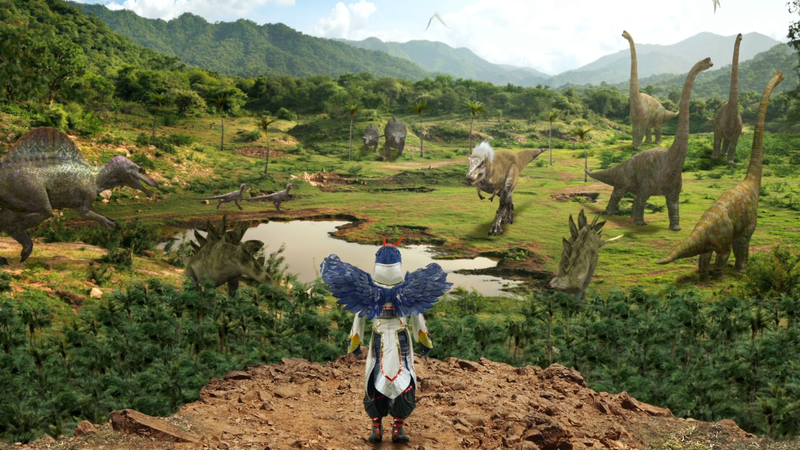 These versions will be torrent-only (hidden from the general list on Anidex) and will not be included in the eventual series batch. 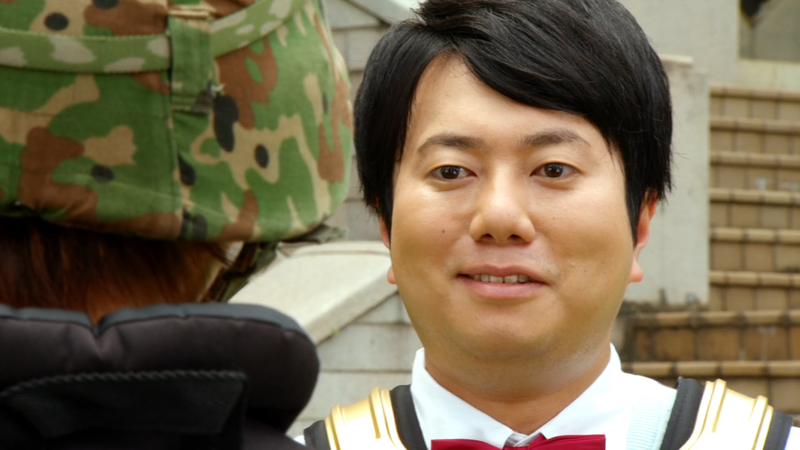 After Ian teases Utsusemimaru with some lady friends of his, he is surprised by the visit of his old girlfriend Erika. 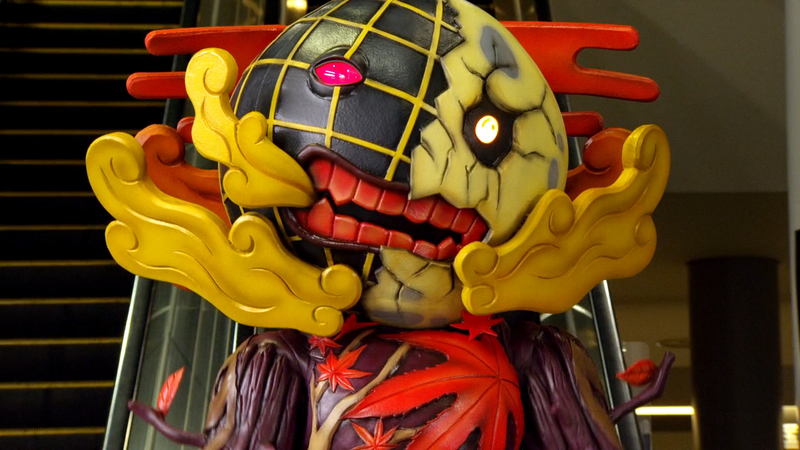 However, when Debo Itsautum attacks, both Utsusemimaru and Erika are trapped in an alternate dimension, where he must overcome his unease and his misconceptions of Ian if they are to escape! 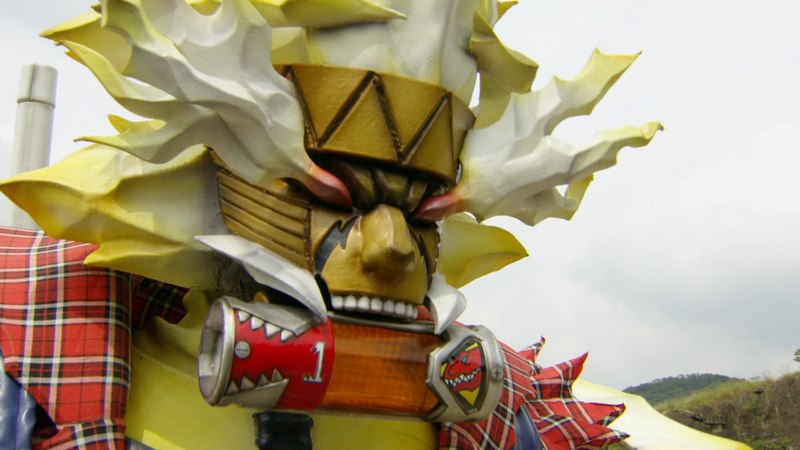 When Debo Sportesprit attacks, the Kyoryugers attempt to use Yayoi’s newly developed Victory Battery to tap into their bravery, but they fail and they don’t know why. 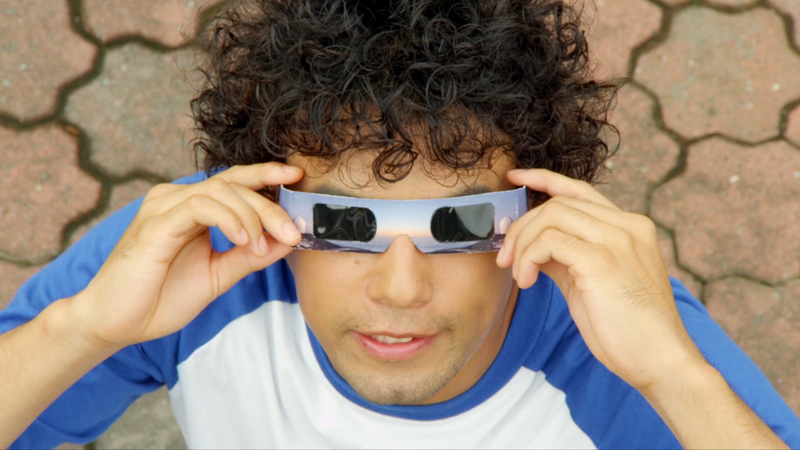 Sportesprit proposes a game of basketball to settle things, and Daigo accepts, forcing him to teach the others how to properly play the game, but the team struggles. Can he get his team on the same page before it’s too late? The local shopping district holds a festival to welcome fall, but Debo Vacashun attacks, making everybody stop worrying about their lives and instead focus on having fun and only fun, including Amy and Souji, much to the shock of Nobuharu. As the rest of the team and his niece fall under Vacashun’s spell, it’s up to Nobuharu to break them free while protecting his sister! 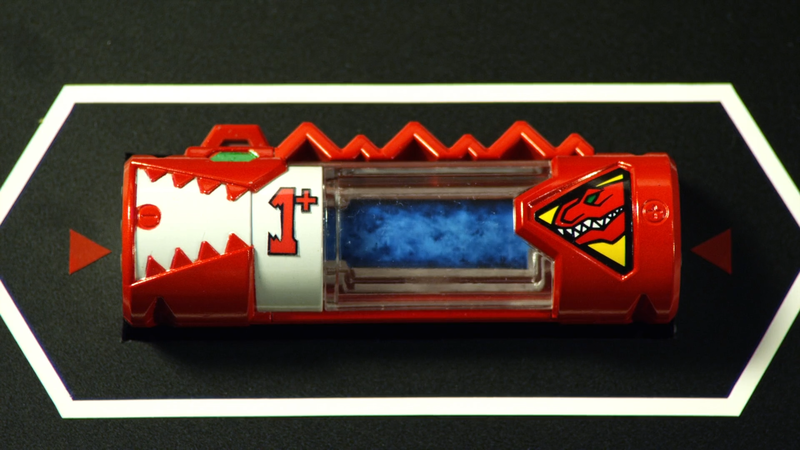 Ian figures out that the stone Daigo received from his father is one of thirteen fragments of a Voltasaur that make up the key to accessing the tenth Voltasaur, Bragigas. 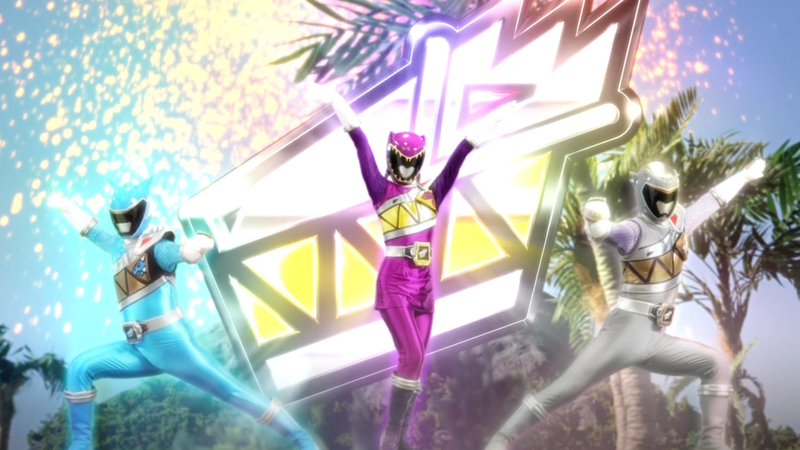 Amy realizes that an acquaintance of hers, Mitsuhiko, has another one of the stones, and on his birthday he decides to give it away in a contest that the Kyoryugers and the Deboss Legion participate in. Brave 29: All Out War! Dance, Carnival! 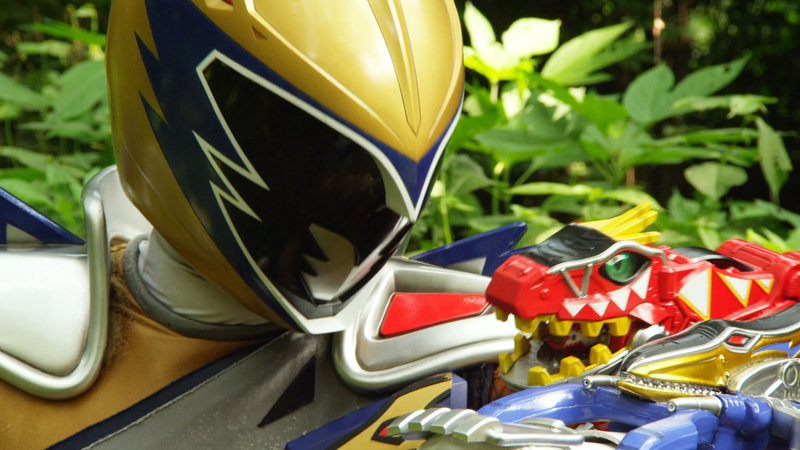 The death of Torin throws the Kyoryugers into a deep depression, but Deboss refuses to give them a chance to grieve. 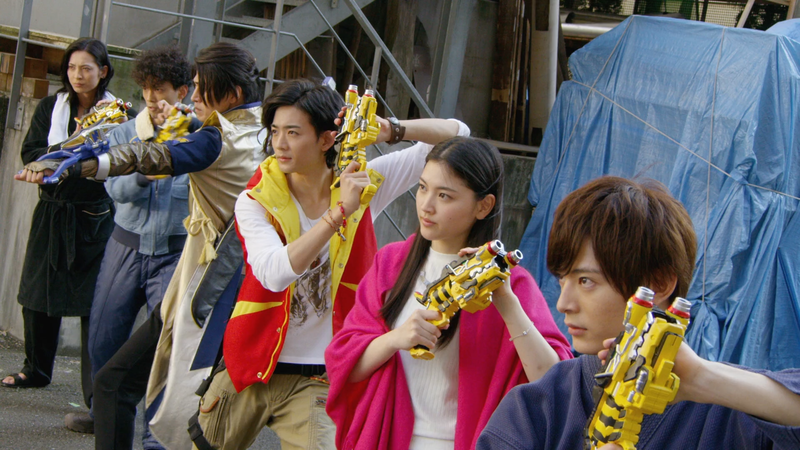 As Yayoi, Ramires, and Tessai transform, Daigo leads his team to find a way to revive their fallen mentor! Dantetsu returns to Japan and hands over special stones to Daigo, while asking an ominous question about Daigo’s trust in Torin. 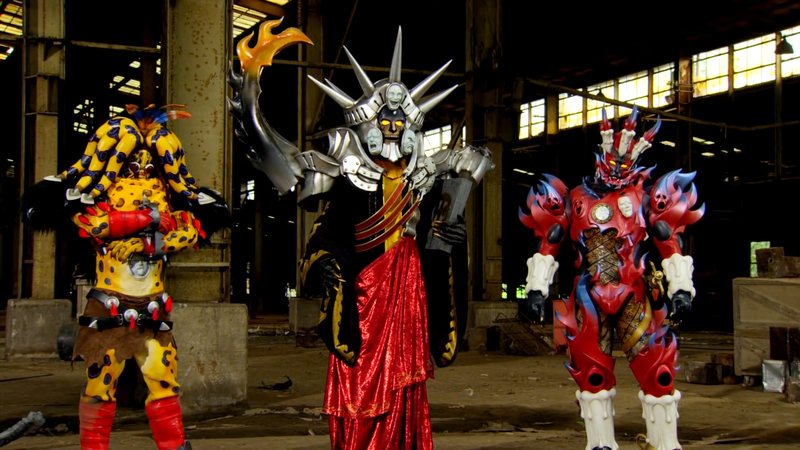 Meanwhile, Endorf and Candelira join forces, performing a song that sends Torin into a rage. 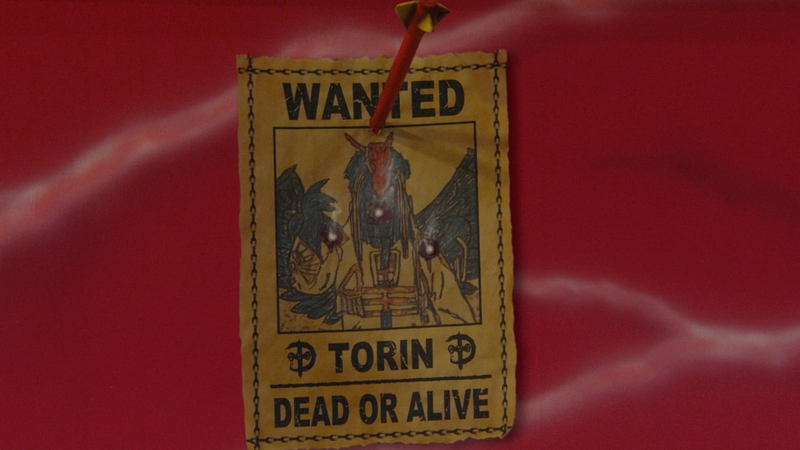 What is the secret that Torin has been keeping and what will it mean for the team? Brave 27: Oh, Party Time! 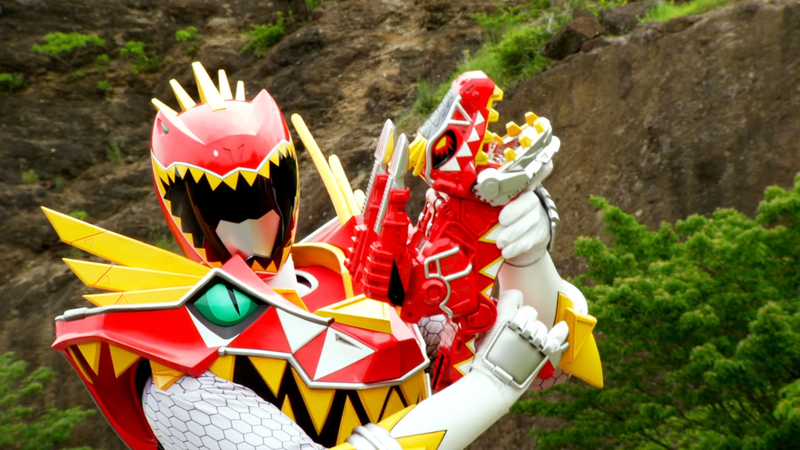 Red’s Super Evolution! 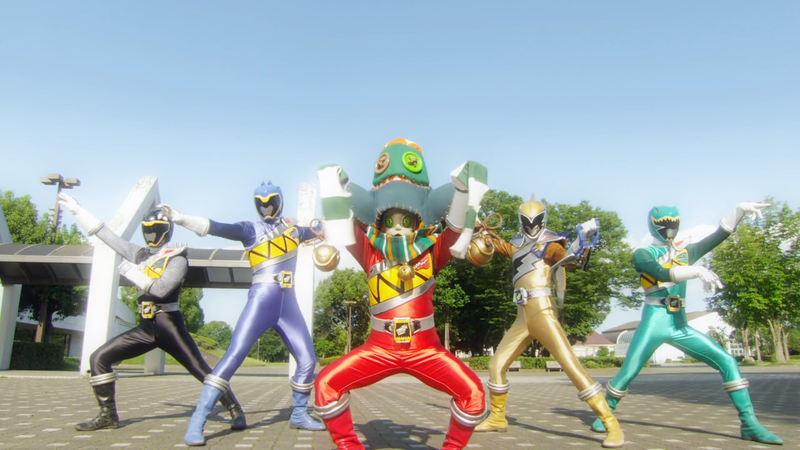 With Gabutyra subsuming Daigo’s personality, he goes on the run, while Debo Shinobinba and Debo Saurhunter appear to prevent the other Kyoryugers from saving him. 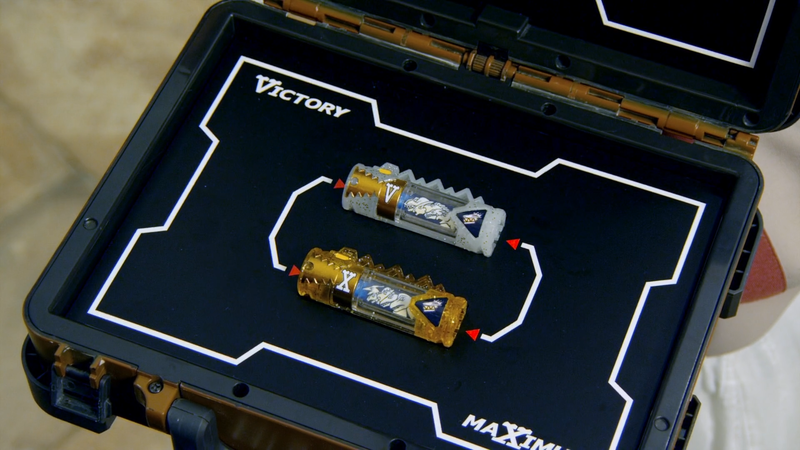 With their powers locked out, it’s up to Yayoi to crack the secret of the new Beast Battery and free Daigo! 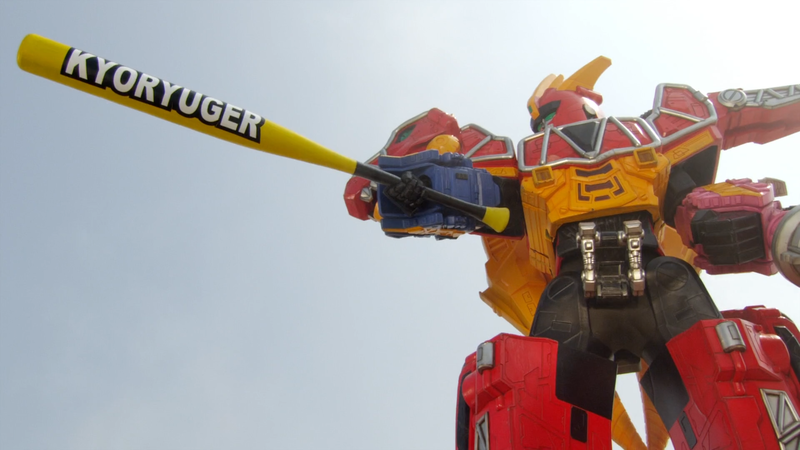 Big thanks to SpecialForm12 for help with translating the preview at the end of this episode! Due to circumstances involving a movie special, the broadcast didn’t have the preview, but it’s no longer an issue! Brave 25: What the—? 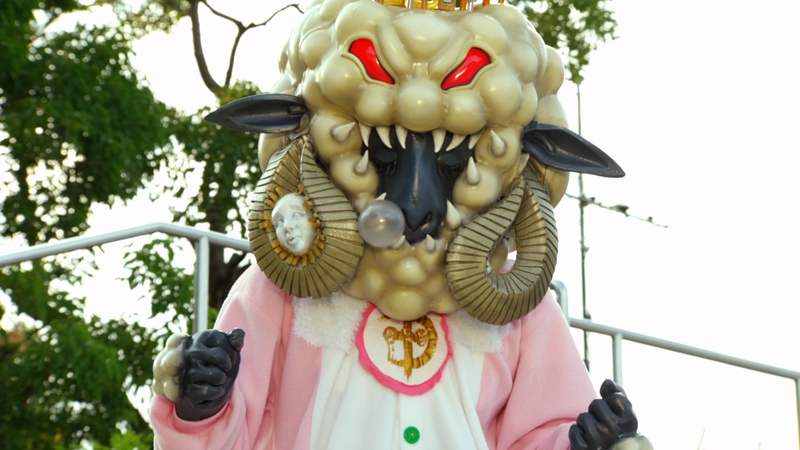 Nightmares of Deboss! 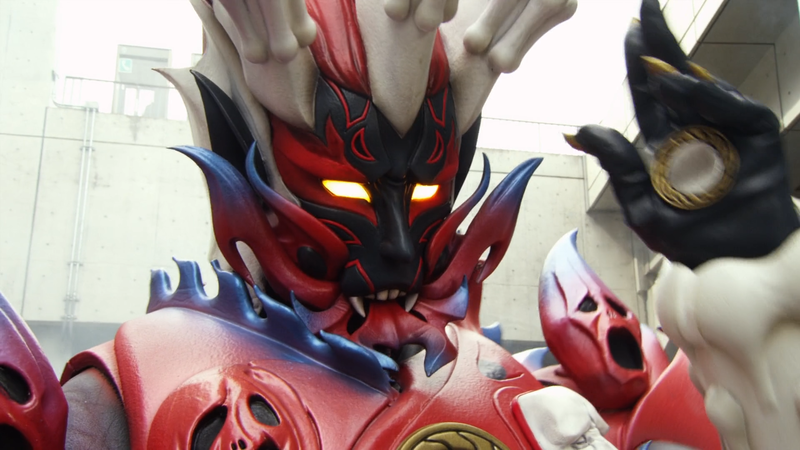 With Candelira out of action and the rest of the Deboss Legion defeated, Luckiero creates Debo Nightmaher to infiltrate the Kyoryugers’ dreams and keep them from sleeping. 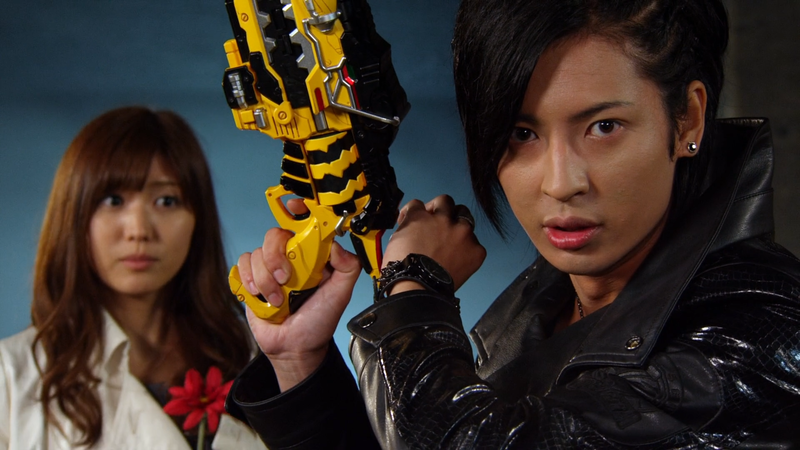 As the exhausted team tries to fight back, Souji has a plan, but can he muster the energy to see it through? !